Get rid of the term "casual"! Do it! Dave Thomson of Scottish games developer Denki wants the word gone, banished, erased, deleted. At the Develop Conference in Brighton, UK, Thomson gave a session titled "A Game is a Game is a Game". He calls the term casual pejorative. "We may not find a particular type of game amusing or appealing," he said. "But that doesn't stop them from being a game of equal worth to those titles that we do." Thus, Thomson doesn't want the word "casual" to be used. 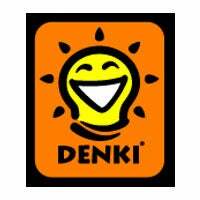 The label is frustrating for Denki, which is dubbed a casual developer. "Make the game you love and people who enjoy the things you enjoy will be the audience," he said, wrapping up his session. "If a game is fun people will buy it whatever the label." We're not entirely convinced "casual" is a derisive label. Shovelware? Crappy? Those are derisive labels.